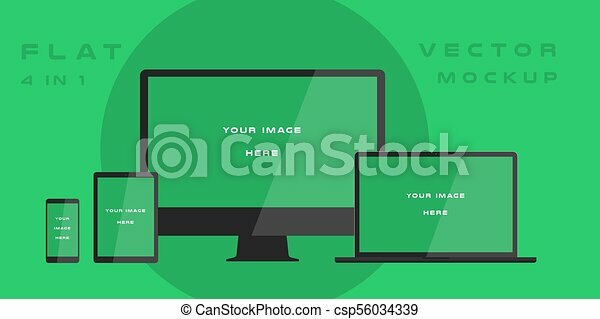 Flat computer monitor, laptop, tablet, smartphone isolated on green background. 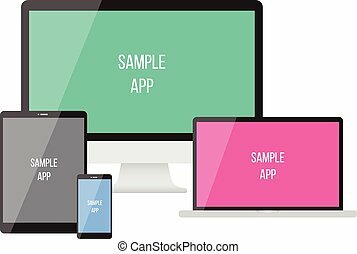 can use for template presentation, web design and ui kits. white electronic gadget, device mockup. vector illustration. 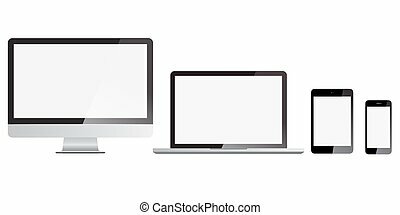 Set of devices isolated on white background. Flat vector illustration. Realistic device icon. 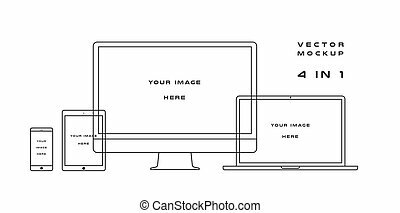 Business concept smartphone, tablet, laptop and desktop computer pictogram. Vector illustration on green background with long shadow. 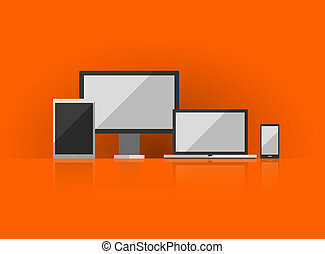 Electronic devices on white background. Vector illustration. 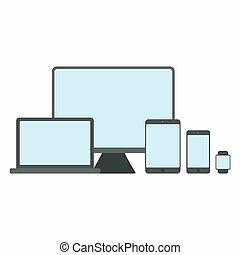 smartphones, tablets, computer monitor, netbook. can use for printing and web element. 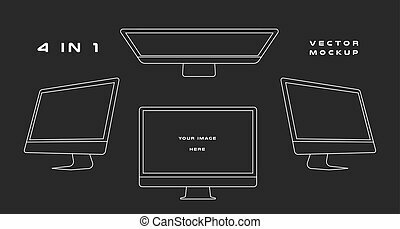 Set of monitor, computer, laptop, phone, tablet isolated on a solid white background. 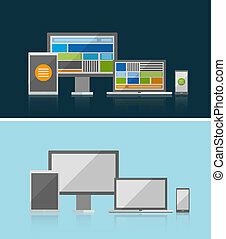 Screen size concept for responsive or adaptive web design template. Realistic screen with shining effect. 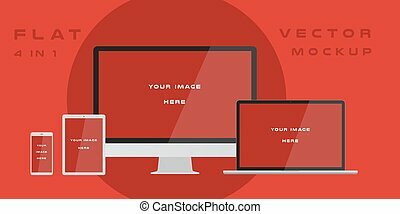 Flat computer monitor, laptop, tablet, smartphone isolated on red background. 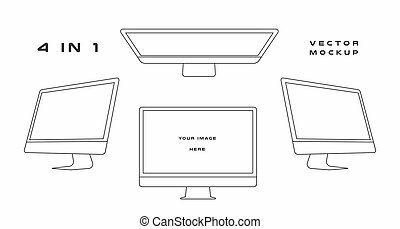 Can use for template presentation, web design and ui kits. White electronic gadget, device mockup. Vector illustration. 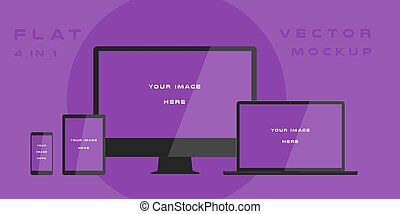 Flat computer monitor, laptop, tablet, smartphone isolated on purple background. Can use for template presentation, web design and ui kits. White electronic gadget, device mockup. Vector illustration. Flat computer monitor, laptop, tablet, smartphone isolated on blue background. Can use for template presentation, web design and ui kits. White electronic gadget, device mockup. Vector illustration. 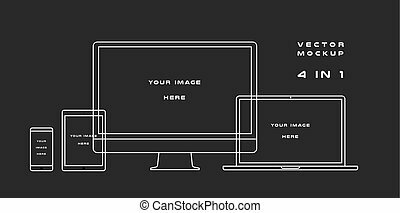 Outline computer monitor, laptop, tablet, smartphone isolated on white background. Can use for template presentation, web design and ui kits. Black electronic gadget, device mockup. Laptop isolated on abstract background. Can use for template presentation, web design and ui kits. White electronic gadget, device mockup. Vector illustration.